Enjoy the popular modern look in your bathroom with this beautiful vanity. With a beige tan marble counter and black solid wood base, this product is good-looking and useful. This set from Art Bathe is great for anyone looking for great style and function in their bathroom. 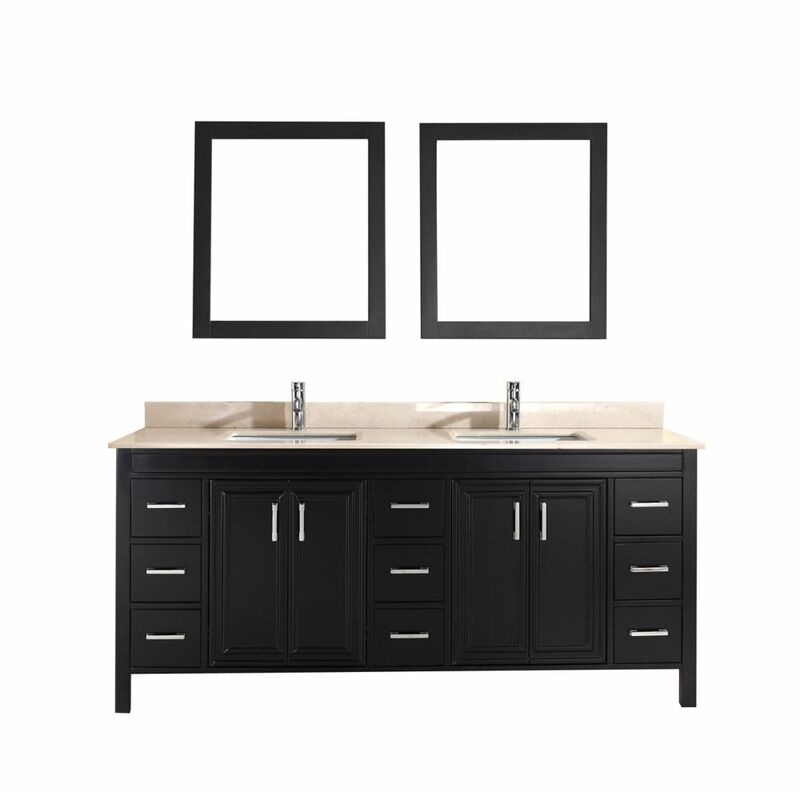 Corniche 75-inch W 9-Drawer 4-Door Vanity in Black With Marble Top in Beige Tan, Double Basins Enjoy the popular modern look in your bathroom with this beautiful vanity. With a beige tan marble counter and black solid wood base, this product is good-looking and useful. This set from Art Bathe is great for anyone looking for great style and function in their bathroom.